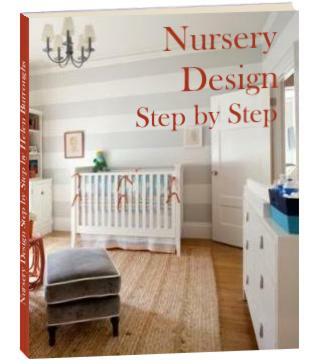 A Treasure Trove of Contemporary Nursery Decorating Ideas to Help You Design the Baby Nursery of Your Dreams. You need to be aware that, despite its rising popularity, contemporary nursery decor is not as readily available as some of the more traditional types, but modernnursery.com and allmodernbaby.com have great selections. Check out our modern nursery gallery for loads of modern baby nursery ideas and inspiration. And visit our favorite modern crib bedding selection for the perfect nursery bedding set to complement your nursery design! 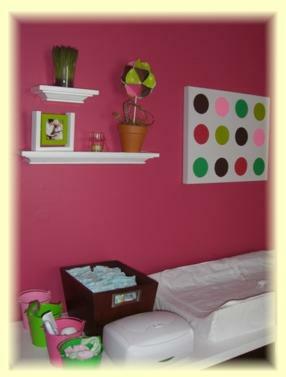 The contemporary nursery decorating style is simple, comfortable and inviting. To achieve a successful contemporary look it's essential to understand that less is more. No room for clutter here! Strong geometric shapes and designs. Black, beige or white furniture sometimes with a splash of color, bright orange for example. 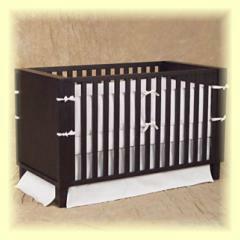 Contemporary nursery furniture emphasizes the smooth geometric lines and shapes of the style. Bare, smooth floors in hard wood or laminate. If area rugs are used, plain or geometric patterns are a good choice to add color and texture. Walls are often left understated in neutral tones. 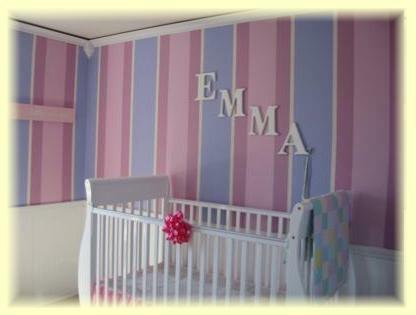 Otherwise baby nursery rooms with stripes or checks are popular, as are nursery design ideas with circles. 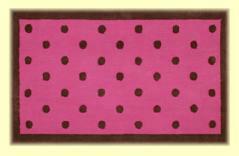 Depending on the amount of detail in the rest of the room, solid fabrics can be used to simplify the overall feel of the room or fabrics with boldly colored geometric shapes can be used to enhance the contemporary nursery design.